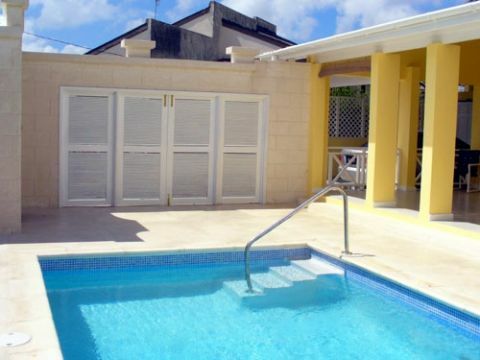 Just renovated in 2008 this 3 bedroom 2 bathroom home offers comfortable living with a large enclosed private patio and beautiful pool. With access through the large purple heart doors this patio can open onto the lawn area to bring the outside in! Unique design. 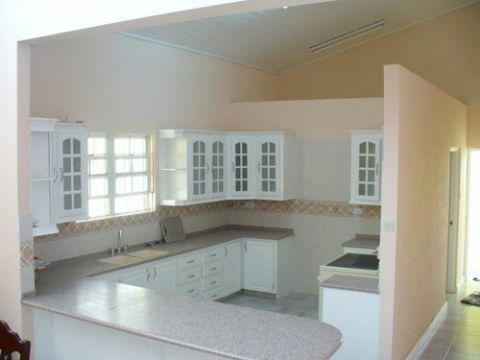 The kitchen has also been refurbished and has decoran counter tops and over looks the formal dining and sunken living area. There is an additional room that can be used as a private T.V. room/office or another bedroom. The bedrooms are all located on the western side of the house of which all have A/c and looking onto the now newly landscaped gardens. The covered garage has a large cupboard to house the necessary garden equipment or house supplies. 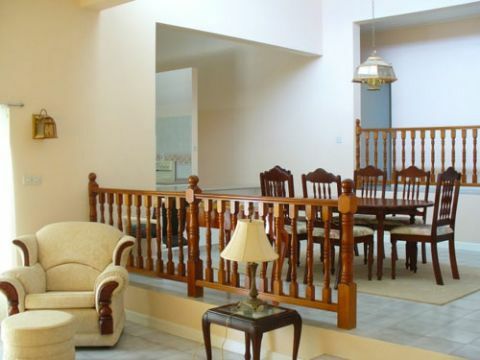 This house is located in a lovely quiet neighbourhood in a cul-de-sac. Located in a quiet residential district near the west/platinum coast and the capital.